WEST NEW YORK NJ — Battalion Chief Anthony Venezia was promoted to Deputy Chief of Operations at a North Hudson Regional Fire and Rescue (NHRFR) swearing-in ceremony on Monday, April 18th at the NHRFR Headquarters. 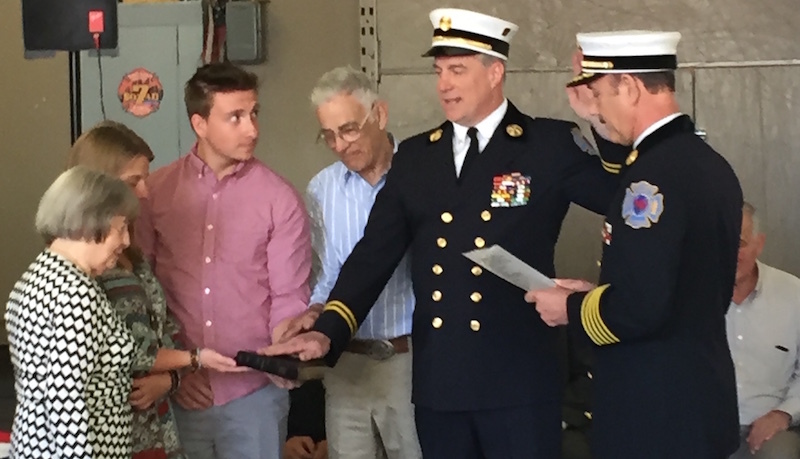 Prior to his promotion, Venezia served as Battalion Chief since 2010. Venezia has over 25 years of experience as a firefighter, serving multiple roles with the NHRFR and originally beginning his career with the North Bergen Fire Department. In his previous role as Battalion Chief, he was in charge of policy, development and implementation of the heavy rescue and support program for NHRFR. As Deputy Chief of Operations, Venezia will be in charge of overall training, research and development, special operations training and day-to-day operations.